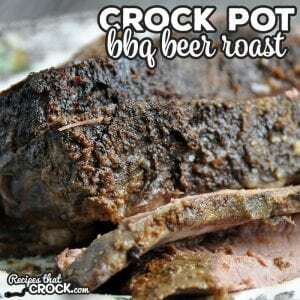 Crock Pot BBQ Beer Roast - Recipes That Crock! 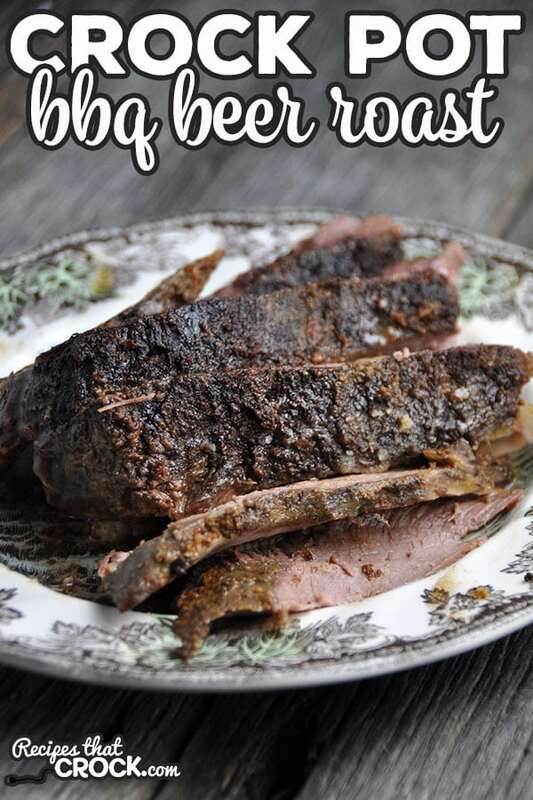 If you are looking for a quick, easy and tender roast recipe, then I have you covered! 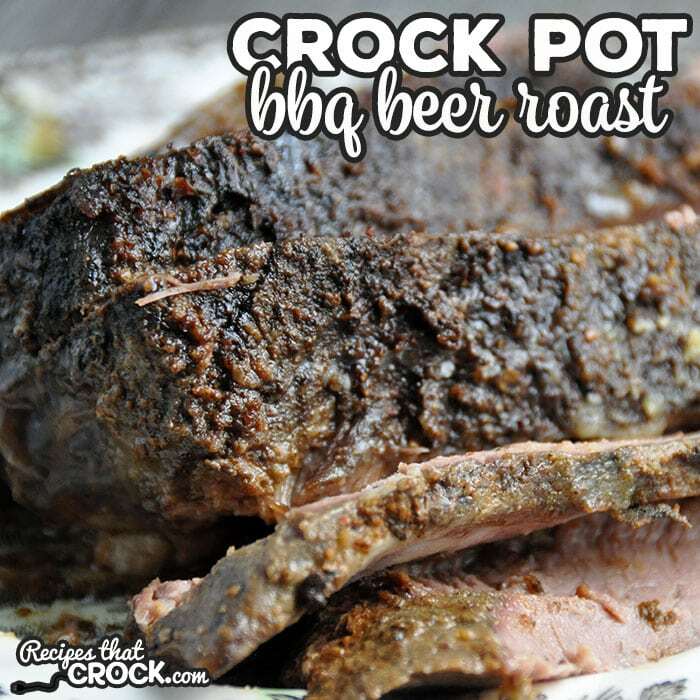 This Crock Pot BBQ Beer Roast is all three! Note: We use referral links for the products we love. We had some roasts that I needed to make up before they had been in the freezer too long. Hmmm…what to do, what to do? Then I remembered the Crock Pot BBQ Beer Chicken recipe I did a while back. I couldn’t help but wonder how that yummy flavor would taste with a roast. Well, lucky for you (and me! ), this Crock Pot BBQ Beer Roast turned out wonderfully tender and delicious! And I love how easy it is to throw together! The perfect recipe to throw on before you go to work! Note: Scroll to the bottom for the printable recipe. Take 1/4 cup of your favorite BBQ seasoning, salt and pepper and rub in all over your roast. Place your roast in a 6-quart crock pot. Gently pour your beer/non-alcoholic beer over your roast. Sprinkle on a little more seasoning. Cover and cook on low for 8-10 hours. Easy peasy! While you could cook this on high, I wouldn’t recommend it. One of the great things about beef and a slow cooker is that you can take a tough cut of meat, cook it low and slow and have a wonderfully tender piece of meat. If you cook it on high, you might not get as desirable of a result. Take 1/4 cup of your favorite BBQ seasoning, salt and pepper and rub in all over your roast. 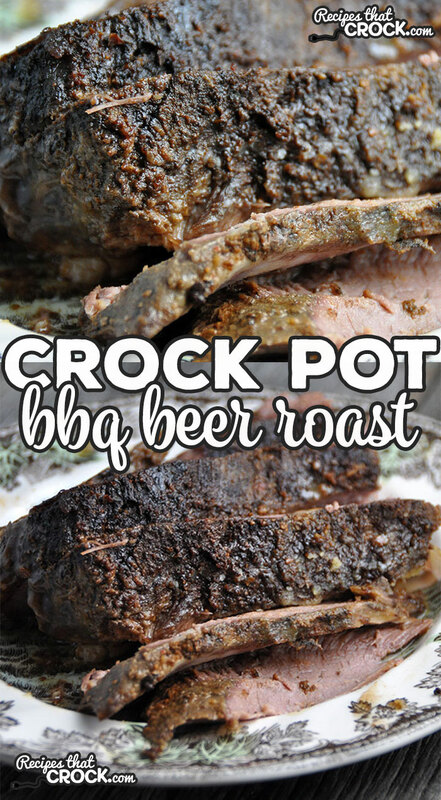 Place your roast in a 6-quart crock pot. Gently pour your beer/non-alcoholic beer over your roast. Sprinkle on a little more seasoning. Cover and cook on low for 10-12 hours.